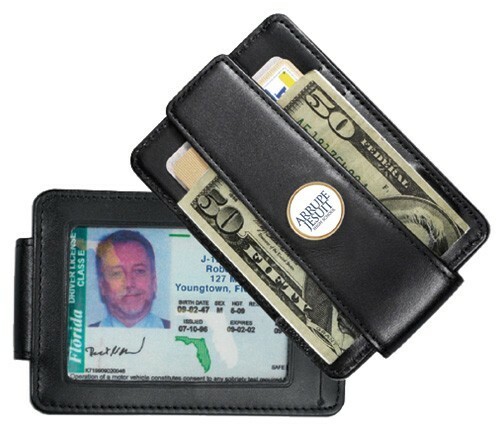 The DeepPocket® security wallet has a unique bill folding strap and a patented money clip feature for convenient access to your currency. Holds up to 20 bills and 5 credit cards. Side pocket for business cards and a easy view ID window. Customize with our full color logo reproduction. Black or Brown. • Color: Black or Brown.